THIS is what I think of when I hear the words..
Have YOU heard of it ?? 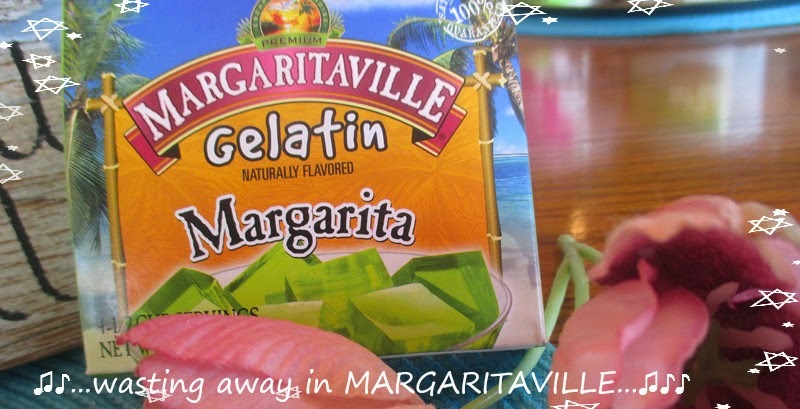 1. this is very refreshing and good, if you LIKE jello as I do..
it in NO WAY resembles a REAL MARGARITA. 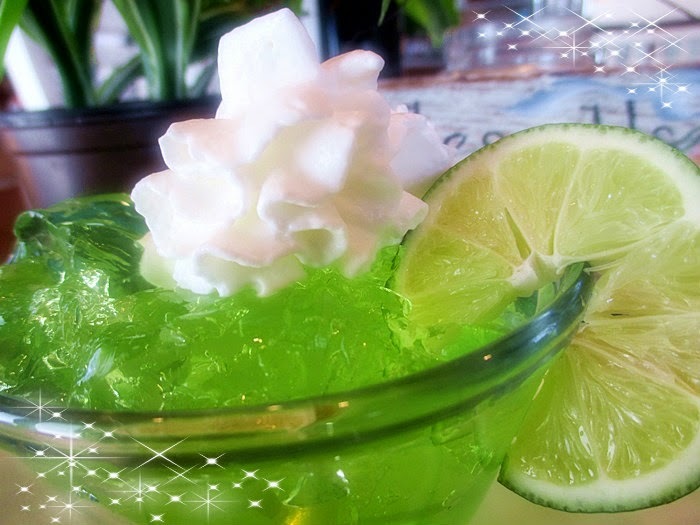 A DOLLOP OF WHIPPED CREAM..
a bowl of green jello, with hanging fruit and a puffy white sweet on top....??? go get you one, too. That frozen concoction that helps me hang on." Thanks for putting that song in my head...probably for the entire night. But I love it, and margaritas and jello, so will be looking for that flavor. Yes, BJ, thanks for that earworm. Ha! I don't think I care too much about the jello, though you sure did make it pretty, but the key lime cookies...have not seen those yet. I loved the way the painting effect looks, especially on the "Bless Our House" picture. The colors were so pretty on it. I'm the only person in the world not big on Margaritas, but I like that song, and those key lime pie cookies looked so good. I don't think I could stop if I started on them. I thought you were going to tell us you were doing jello shots, lol! I like a margarita but only if it has crushed ice. Aren't I picky? I love your posts! so entertaining! and I think I shall pass on the jello! lol! have a wonderful weekend! Oh honey, these pictures should be in a magazine! You have a talent B.J. in you photo shooting! Have a blessed day and I will be purchasing one of those CUTE towels! HUGS and PRAYERS coming your way! OH what a fun post, bj. It looks like you're getting ready for summertime in the summer house! Prayers are continuing for you and Mr. Sweet. You had me at Margarita! Yes Ive had the Margarita jello.....with vodka.....in a shot glass. "JELLO SHOOTERS". Hahaha. This was a fun read. It was so bright and full of cheer. It felt like summer! Now im ready to face the day.....but first, where did I put the salt shaker? What a joy it is to tune in to your Margarita Mischief---our Sassy Sister is having a day of fun, isn't she? 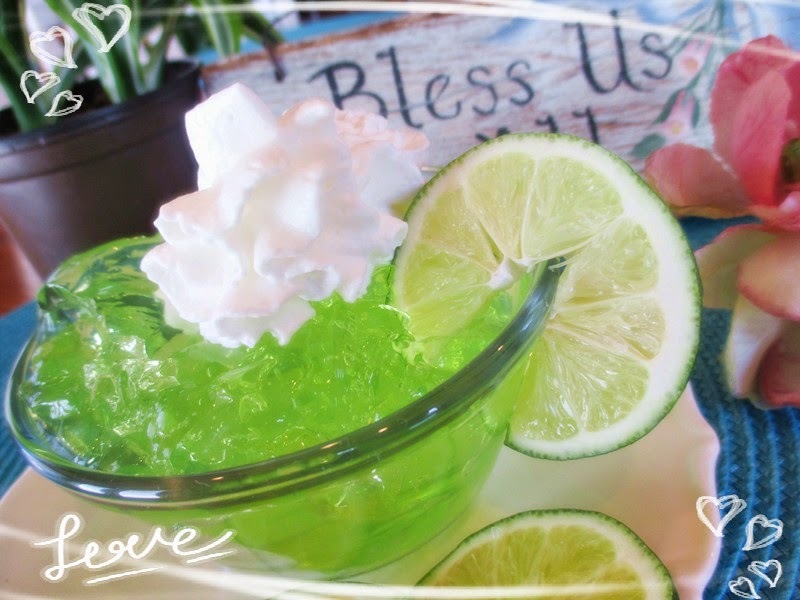 All that green, and all the tasty, pretty treats---we keep a GREEN jello and a pistachio pudding in the "dry basket" all the time, for some kind of fruity thing---all those Southern "congealed salads" that are such a part of my cooking heritage. The cookies reminded me to see if they still make those Oreos---we vanilla-chocolate-dipped several dozen of the lime ones for a Halloween party last year, labeling them Skeleton Key Lime cookies. Your photos, as always, are a bright delight---I'm going to try that new kind of photo thing you use---and that one with the sort of etched daisies---wouldn't those make the neatest place mats for out in your pergola? You stay SWEET, faraway friend---I think of y'all every day. Love Jimmy Buffet and now I want a Margarita! I do like jello but sorry it doesn't taste like the 'real thing'. Glad you are having some fun! Hugs! I think my SIL has attended every Jimmy Buffet concert in driving distance. lol My SIL used to run the Boy Scout sea camp in the FL Keys so he loves it all. I do, too. I am kind of embarrassed to say I have never had a margarita. lol I don't like the taste of alcohol---except I do like a Bailey's Irish creme once in a while. Lots of pretty and fun lime green happening here bj! I do enjoy my weekly Cadillac Margarita that our favorite waitress makes us on our Tequila Tuesday date. We have her hold the salt and it's on the rocks not blended. I used to twist and shout a lot in my junior high and high school years! Blessings. Love, love some Margarita along with your choice of music, but, it would have to be very good for me to eat something green that jiggles. Very fun post! 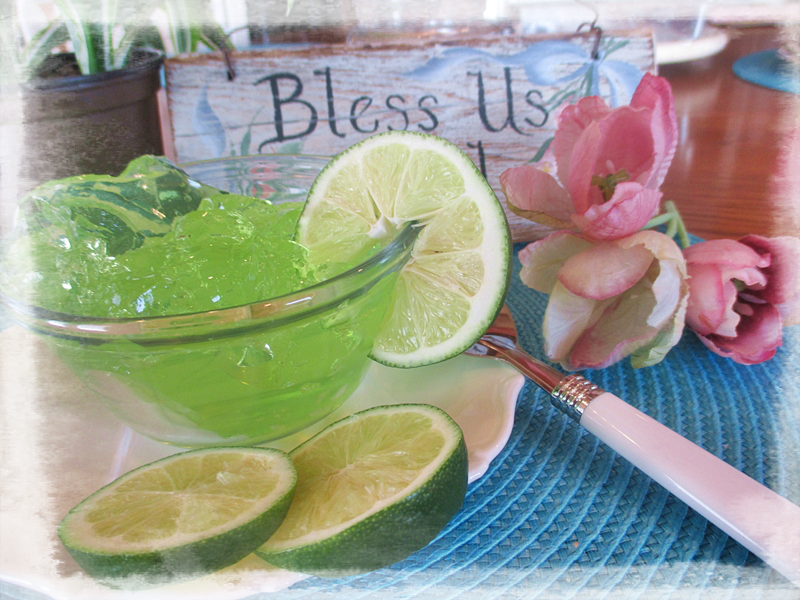 Nothing says summer like Jimmy Buffet and jello! Well this looks like summer! I love your very cute straws and what's not to love about Margaritaville?! Such a cute post BJ . Hugs and blessings , Cindy PS. Prayers continued . The music sure puts me in the mood . . . The colors, lime jello and whipped cream help too! Fun post bj . . .
"It's Five O'Clock Somewhere" 🍹 Cheers ! That was fun! Love the songs, love Jello, not sure about Margarita jello though. I love those straws. Oh my gosh. So flippi' fun. Oh you've made me smile on this Monday morning in Greece. For as many miles apart as we are, we seem to have the same train of thought in our blog posts: citrus, sun and drinks! A perfect way to embrace a spring day!! Hugs and a toast to you! J.
I LOVE that song, but ironically I've never actually had a margarita. My kids tell me I would like it. By the way, now I have that song stuck in my head! Hi BJ! I wanted to stop by to tell you how much I appreciate your prayers for my surgery last Monday. Diana posted a prayer request on her blog and I am full of gratitude! I am slowly recovering but wanted you to know how very much I appreciate you thinking of me. :-) Love this post and I am looking forward to following you and getting to know you better. Have a wonderful week! My mouth was watering all the way through this post. Now I want a Margarita and chips and salsa to go with it.. I'll have one! Great to see you posting. Praying for you. What a fun post, it feels good to look forward to summer! 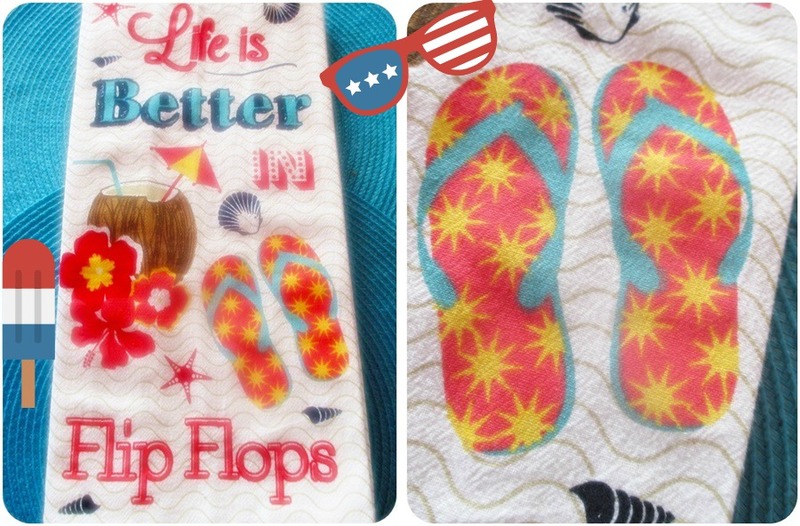 Not quite flip-flop weather here, but we are hopeful it will be quite soon :) So happy for you to have some fun today with this post BJ! I like the fun effects you chose on your pictures too! Hugs to you dear friend!